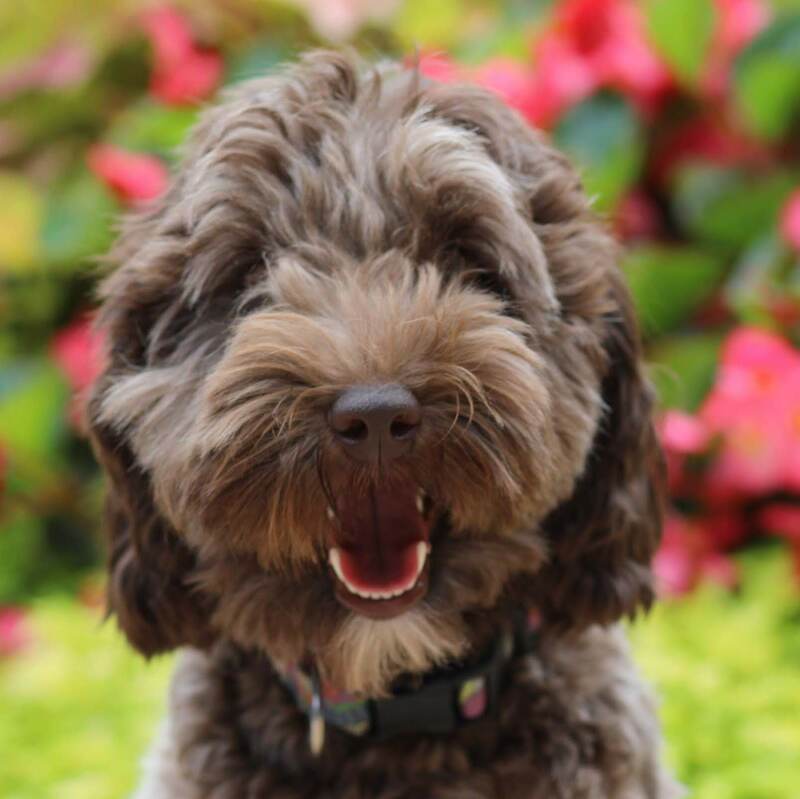 We proudly breed Multi-Generational Australian Labradoodles, best-known for their intelligence, loving and comical natures with the added bonus of being allergy friendly with low/non-shedding coats! What more could anyone want in a pet? These pups are whelped in our home from the finest quality of bloodlines. Our breeding stock is first and foremost our beloved pets and is from the founding bloodlines in Australia…Rutland Manor and Tegan Park. We are very proud that the foundation of our program is built on the Code of Ethics of the Australian Labradoodle Association of America. Our Health Testing is comprehensive as we adhere to the Silver and Gold Standards as set forth by the Labradoodle Association. Our puppies are given the very best care, not only in veterinary care, but we also participate in the Early Neurological Stimulation Program and take time for extensive Socialization with our puppies. All of our puppies are Micro-Chipped as well as Spayed or Neutered prior to their arrival in their new “forever” home. How much are your puppies and what is included? Pups are $3000 regardless of gender, coat or color. This includes a two-year health guarantee against congenital health problems, the spay/neuter, the first round of core vaccines administered by a licensed veterinarian during a thorough physical examination and microchip. The microchip is an ISO chip that is universal and will be recognized should you travel outside the United States. With this chip also comes to a prepaid lifetime enrollment with your primary contact information. Lastly, this price includes a lifetime of support for you in providing the love and care that every puppy deserves. How do you keep the families updated on the puppies? 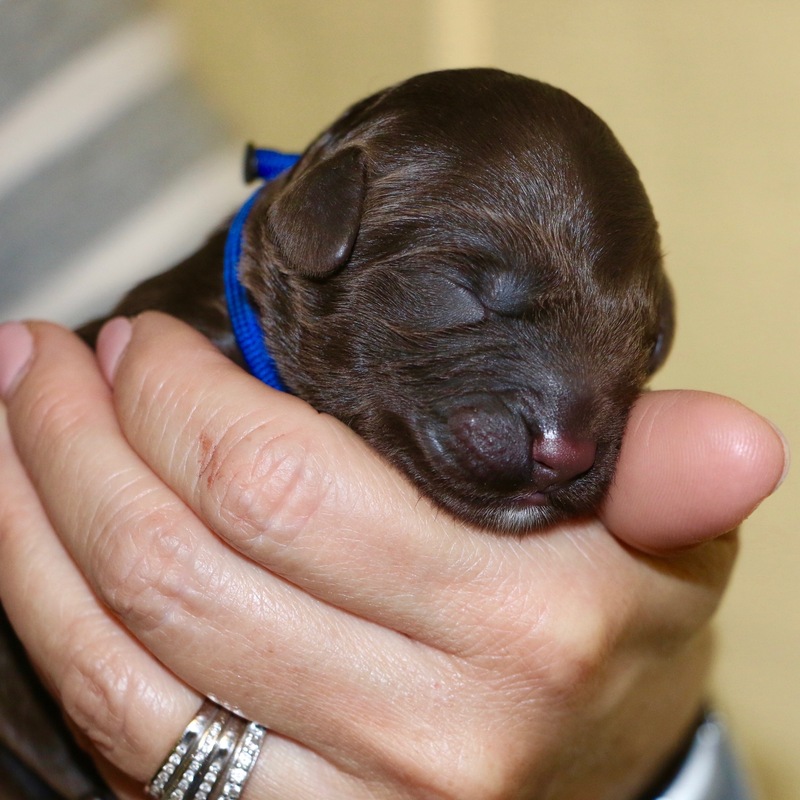 When the puppies are born you will receive a “Litter Announcement” email, which will include a date for family visits, the date the balance is due, the pickup date and a link to the nursery webcam where you can view the puppies daily for the first 4-5 weeks. Later you will be given the link to another outside webcam where you will view them at play outside during comfortable weather. Weekly you will receive an email update explaining where the pups are developmentally and what we are doing with them. Updates also include attachments of learning articles that concentrate on care and training. Pictures will be updated weekly on the website and on the Good Day Doodles Facebook page. What happens after the puppies are born? Beyond the routine care, we administer Bio Sensor Exercises from day three to day sixteen and utilize light stimulation/habituation during the neonate period. 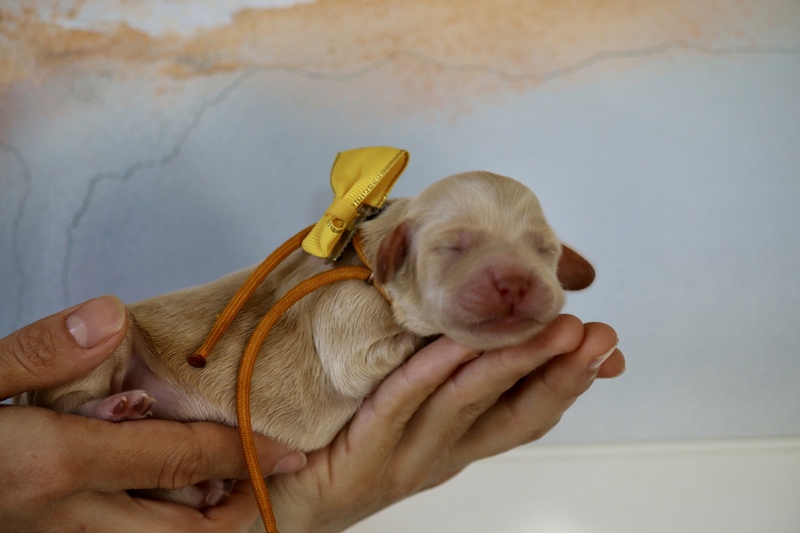 The use of powdered colostrum is added to the pups diet until weaning for immune health and to build a stronger digestive system. 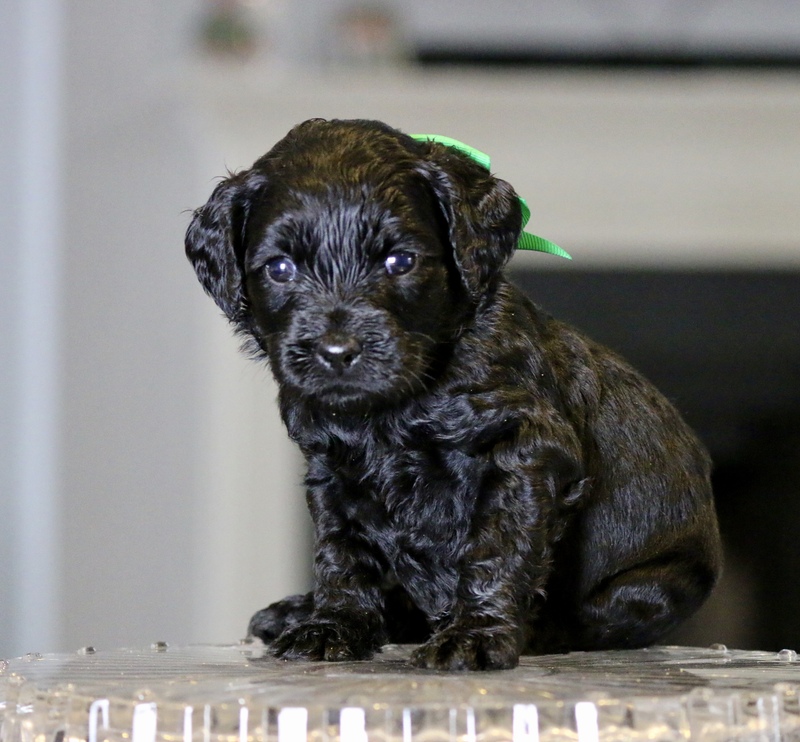 The pups are de-wormed at two weeks, four weeks, six weeks and at eight weeks of age. Socialization is begun early with the introduction of different toys in the whelping box (as mom will allow) and progresses to the introduction of strangers. It is not enough that the puppies are comfortable with my children or grandchildren; it is about handling strangers that builds confidence. The puppies typically meet at least 100 strangers before going to their forever homes. With further regard to confidence, all of the outdoor play items are pre-agility toys. Not because we strive to develop agility champions but because it builds confidence and that is the foundation of a mentally sound dog. Lastly, the puppies are introduced to car rides early and frequently. Therefore our pups rarely develop car sickness. Pups are allocated at seven weeks of age after the temperament testing is completed. 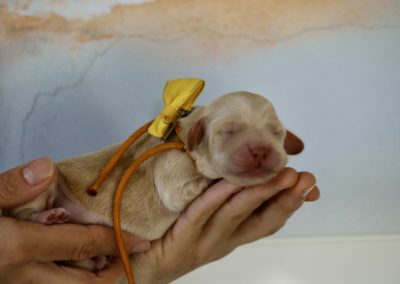 This ensures there is “no last puppy chosen” issue and each pup is placed in the home that best matches his or her temperament and the personal characteristics (gender, coat, color) that the family desires. 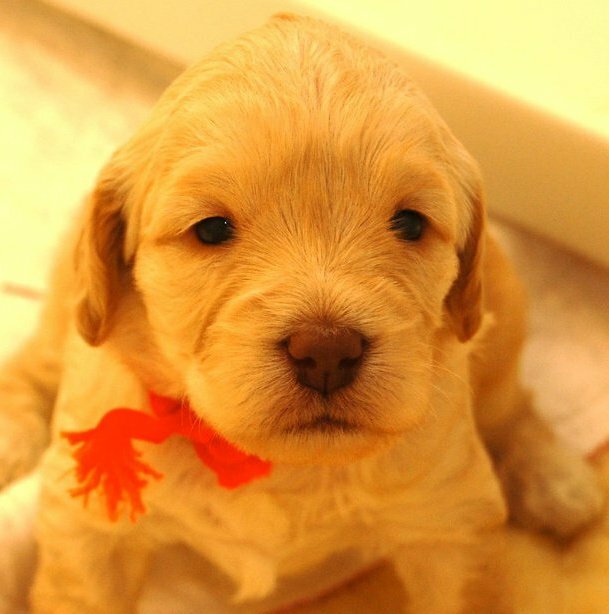 Families are notified during the seventh-week email update as to which puppy they will be bringing home. At what age do puppies go home? We feel 8 weeks of age is the optimal time for puppies to separate from their litter. Longer, and it creates more stress for them. Do we have the option of not spaying/neutering our puppy? For every article written on the concerns of early spay/neutering, there is one written that refutes those concerns. In my opinion, this is because the concerns are breed specific and were actually demonstrated in a 2014 UC Davis study. Early spay/neutering has been conducted on this breed since the 1980’s without significance. It certainly would be less costly and time consuming for us if we did not include it in our program. However, it is with the best interest of the breed as a whole and more specifically to our puppies, that we adhere to the early spay/neutering policy. I live out of town. How important is it for me to attend family day? That is completely up to you and it will not affect the puppy allotment, however, it is our strong preference that you attend, particularly if you live in North Carolina! 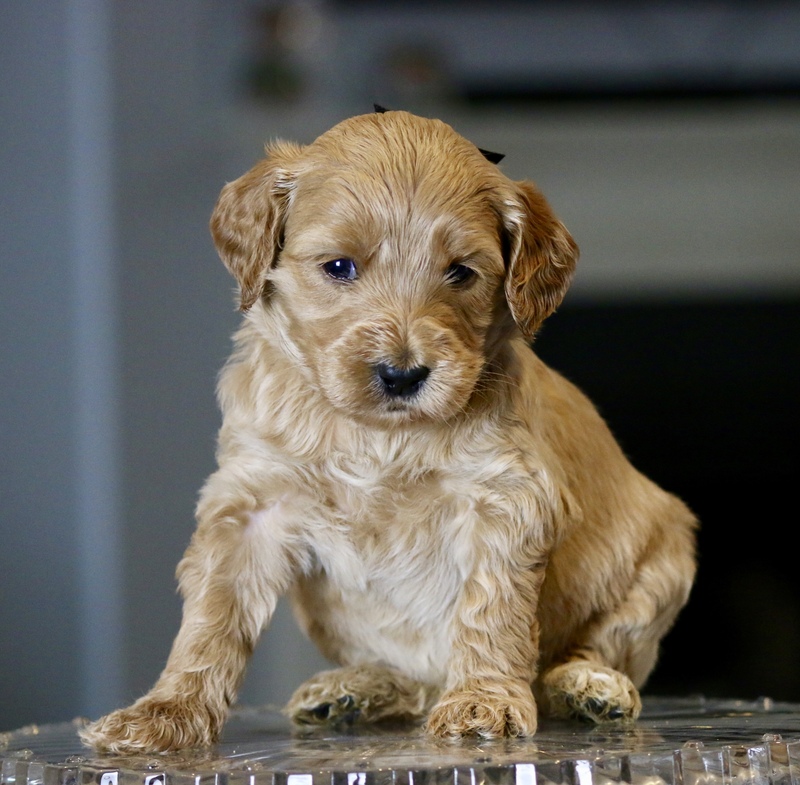 You need to see where your puppy has been raised and we need to feel confident that you are going to provide the love and care we are entrusting you to give the puppy we place in your arms. Do you provide transportation services if we live out of town? Yes, we can either drive your puppy to you or we can fly your puppy on our lap to your nearest airport where you will meet us. There, we will go over the puppy orientation and hand deliver your new family member. You will need to let us know ahead of time if this is needed and a specific quote based on your location will be given. For flying the typical charge is the round trip ticket from Greensboro (GSO), the in-cabin pet fee (average $125) and our transportation fee which is $500 for the east coast and $600 for the mid states and $700 for the west coast. Traveling by car typically averages $100 per hour to meet you (one way). But please call for a specific quote. If I have other questions what is the best way to contact you? Can I visit your dogs and location prior to placing a deposit? Absolutely! We typically open our home once a month for family visits with the puppies and our adult dogs. We feed our adult dogs, nursing mothers and puppies a balanced raw diet made by K9-Kravings. For families that do not wish to continue with that diet, we recommend Life’s Abundance food and you can read more about that on our Nutrition page. We also recommend Canine Caviar Puppy food. It can be purchased in most better pet stores or on-line a Chewy.com. It is the most similar to a raw diet but in kibble form that we have found. Can pick up be delayed due to vacation/work schedules? Yes, of course, however, there is a $50/per day fee. Because we do Progesterone testing with our moms, we are typically within +\- one day of the expected birth. You should know well ahead of time when the puppy will be due and plan eight weeks from that date for a Saturday pick up. Additionally, when planning, be advised that pups cannot be boarded publically until they are four months of age and have vaccines completed. So, plan accordingly or have a pet sitter lined up. What else do you send home with the puppy? Puppies go home with a custom-made “My First Collar” by Woofus. It is a preferred collar for young pups as it is very lightweight and less distracting as heavier adult collars. The puppies also leave with a short leash, a book on potty training, health record, samples of NuVet Plus supplements, a lovey with their mother's and siblings' scent, a few small toys and a place in our hearts for a lifetime. I am a retired doctor of audiology who has always had a love for dogs. Due to empty nest syndrome and the selling of my private practice, I found myself with quite a bit of time on my hands. With just my beloved aging Coco (chocolate lab), I began the search for a new puppy to raise. I LOVED the lab temperament but was tired of the shedding and the wet dog smell!. 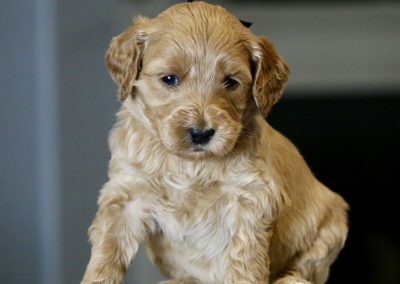 During all of my research, I kept coming back to the Australian Labradoodle. I absolutely fell in love with the breed, their size, temperament, and hypoallergenic coat! I was especially impressed with the breed’s tendency towards service and therapy work. It wasn’t long after getting our first puppy that I knew I had to have a second one! With serious thought and planning, I decided what better way to fill my time, and heart, than by creating a breeding program and becoming active with Pet Partners (formerly Delta Society). The breeding program grew more quickly than I ever could have imagined and within the first 4 years, 7 of the Good Day Doodles became certified/registered in either service or therapy work. I am now hoping to have one doodle registered for After Disaster therapy work as well. My life and my heart are once again full! 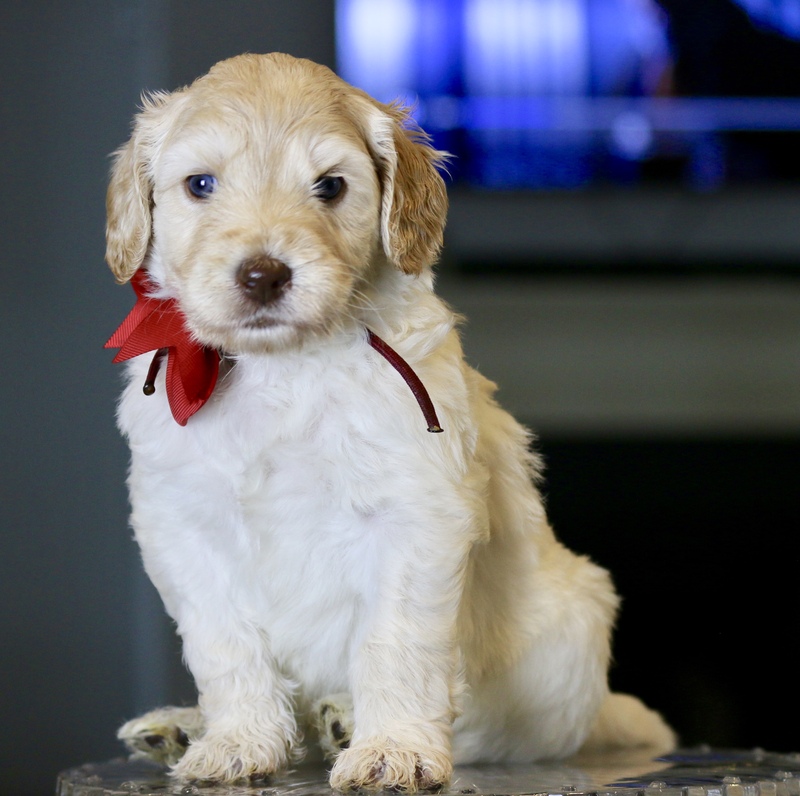 Our doodle family is growing by leaps and bounds and we are so thrilled with all of the amazing dogs our puppies are becoming. Our doodles continue to astonish us with their loving and goofy personalities as well as their companionship and desire to please us, making them such great service and therapy dogs. 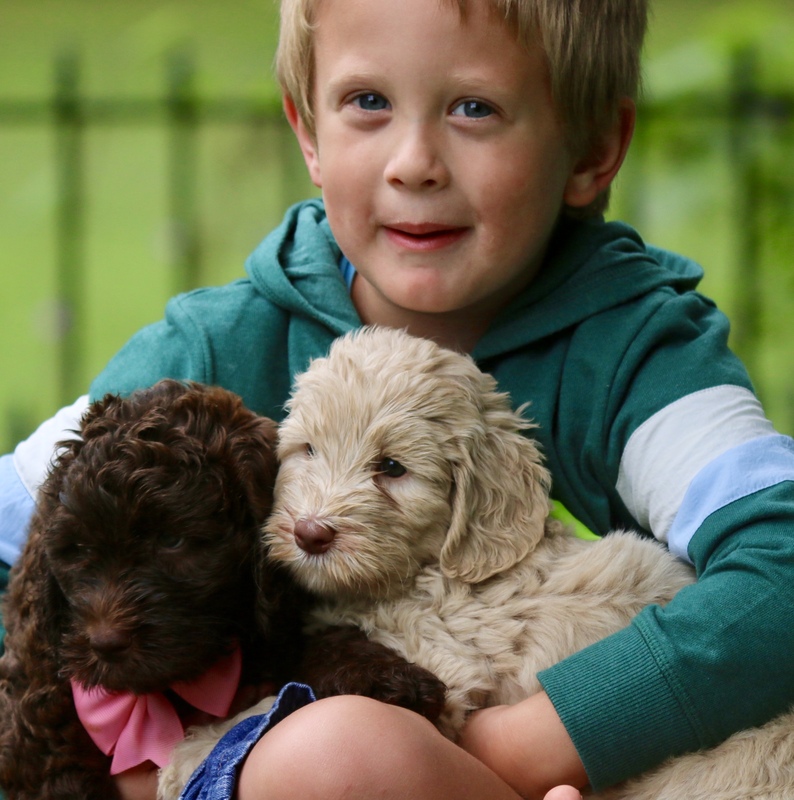 We continue to pride ourselves on being a family-run, home-based breeder of authentic multigenerational Australian Labradoodles from only the best lines. 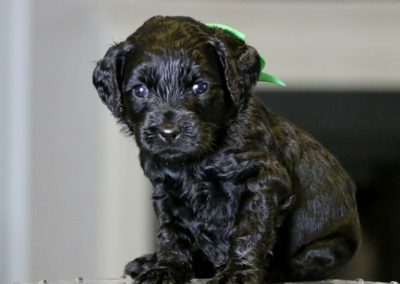 We have so many doodles we want to breed and share with loving owners, that some of my family members have asked how they can help grow our program. To that end, we created Good Day Doodles Country Side. The same fantastic dams and sires, the same breeding and socialization philosophies, and my continued close oversight, with new exciting environments for our puppies to be whelped and raised in. Each litter born deserves individual attention and with the help of my daughter, Ashley, this will be accomplished! I want every pup that comes into this world under my watch to be hand raised. Ashley’s passion for doodles and her dedication to the quality and success of this breed make her a fabulous addition to our program. She has always had a keen diagnostic sense that is so important when caring for moms and fragile newborns and thoroughly enjoys each family’s enthusiasm of acquiring a new puppy! 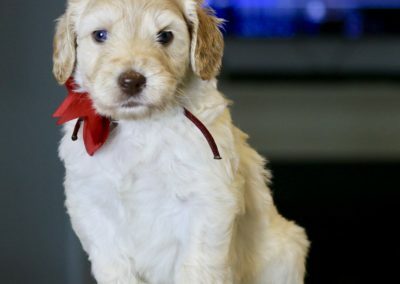 I have no doubt that our doodle moms will love their home away from home while they deliver and raise their pups, and the pups will adore the indoor and outdoor spaces they get to discover and explore.